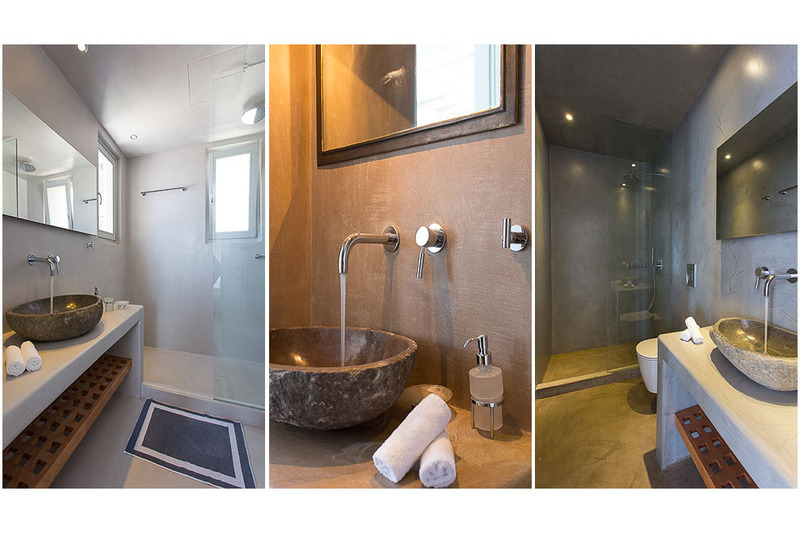 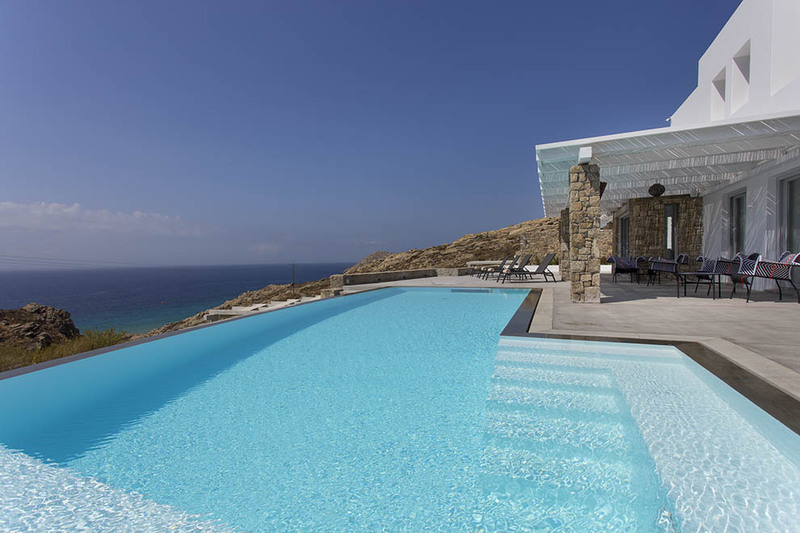 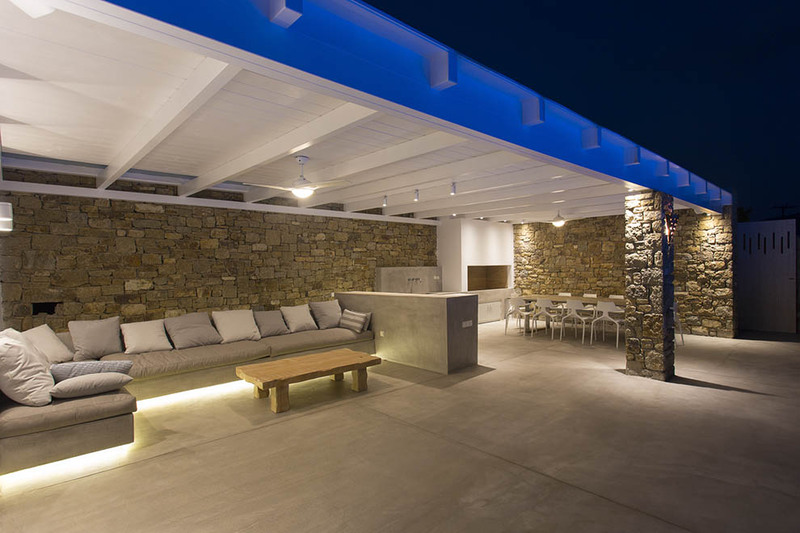 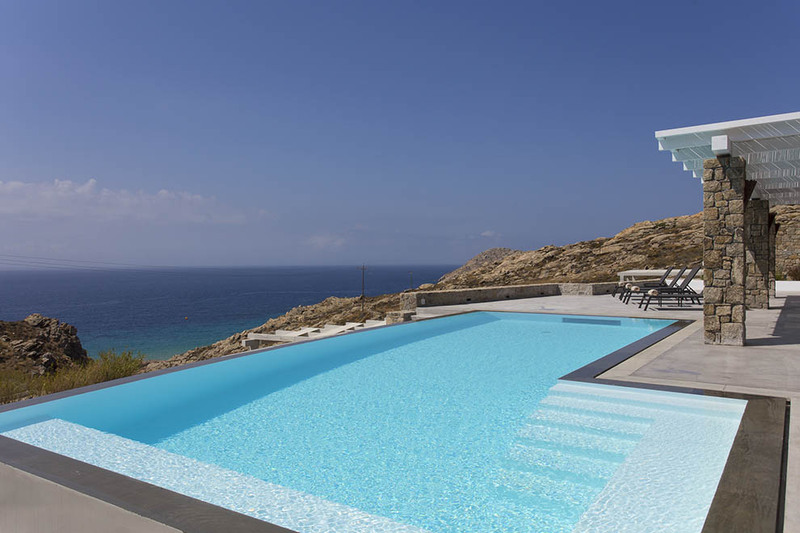 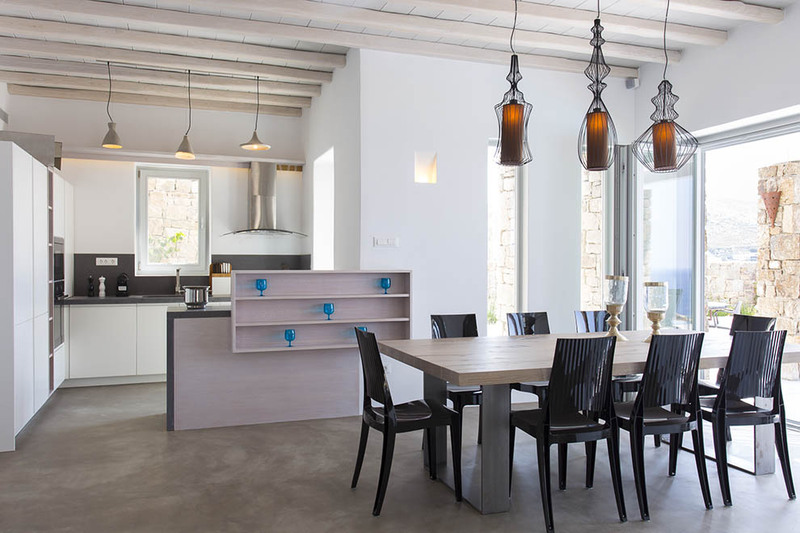 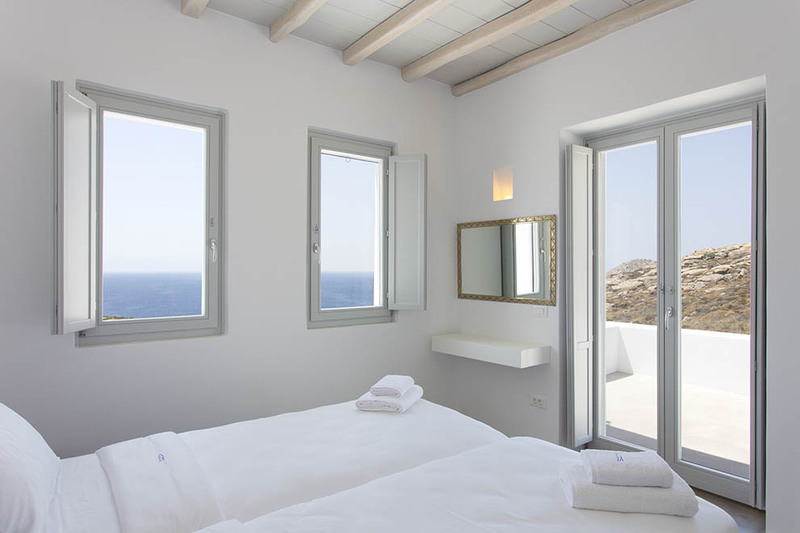 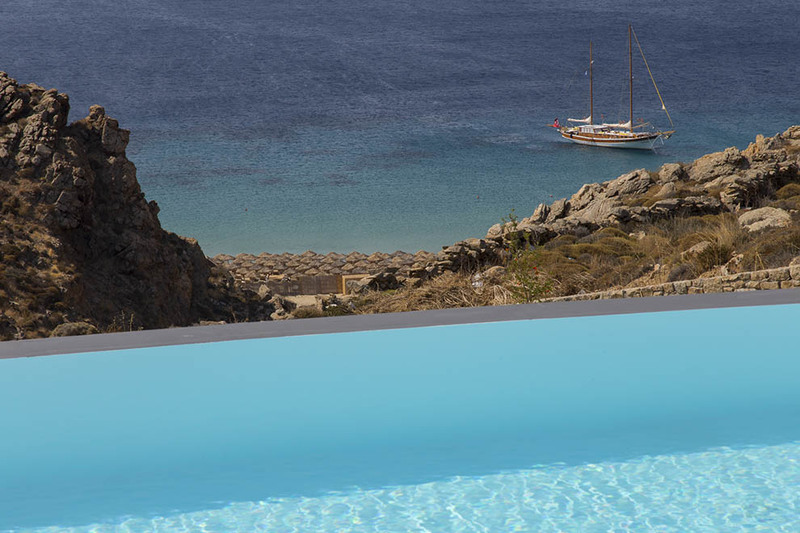 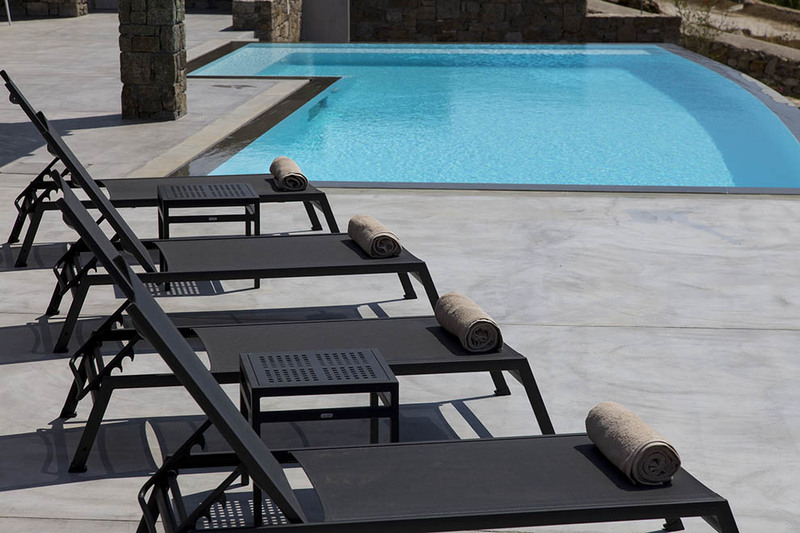 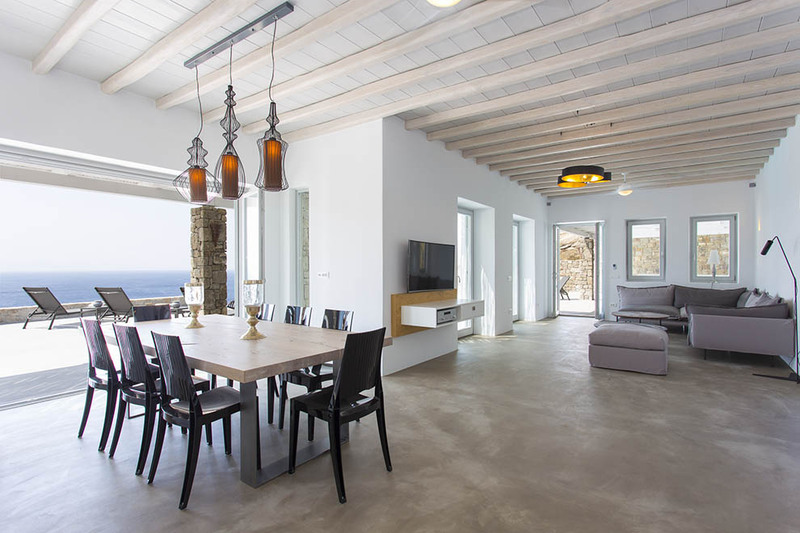 The idyllic villa complex is located in the South side of Mykonos Island, in the lovely Elia area hills. 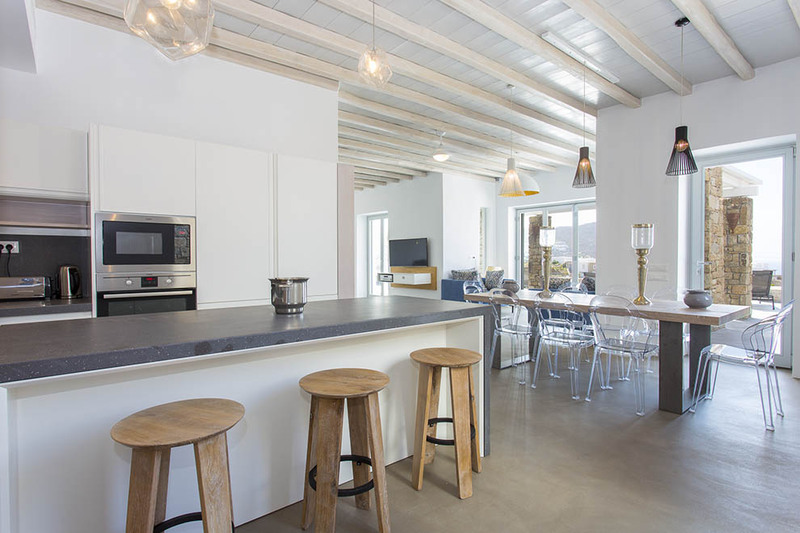 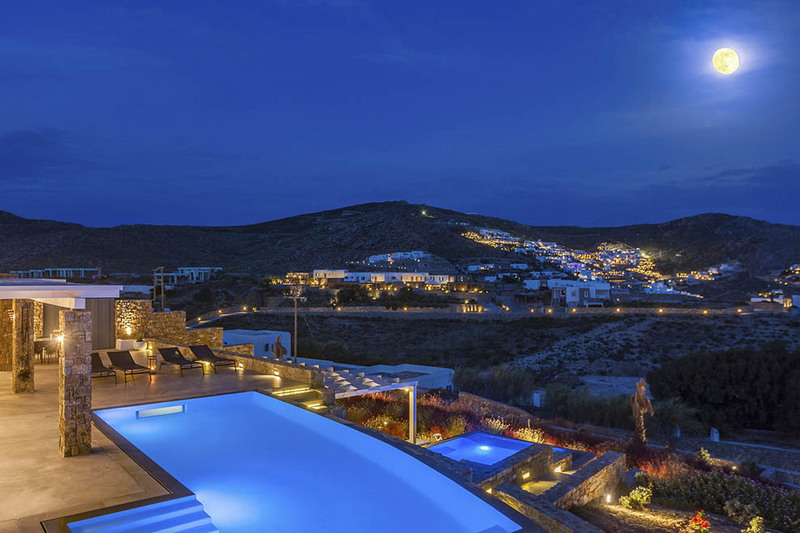 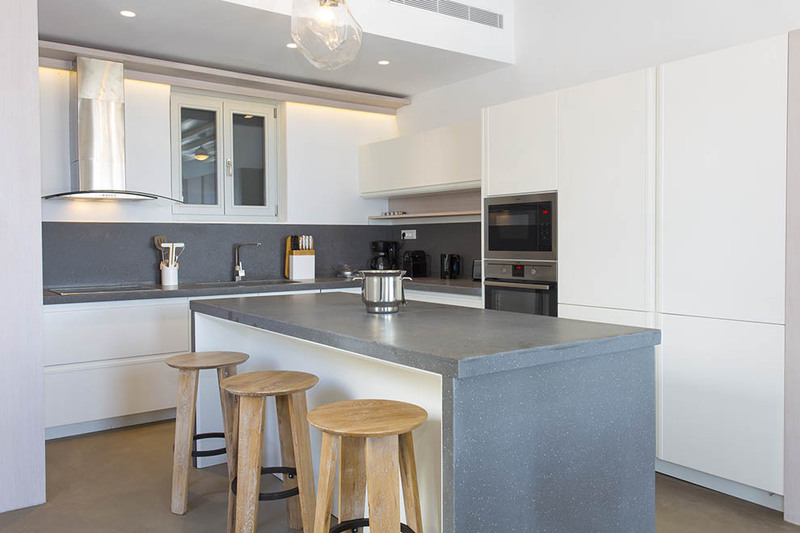 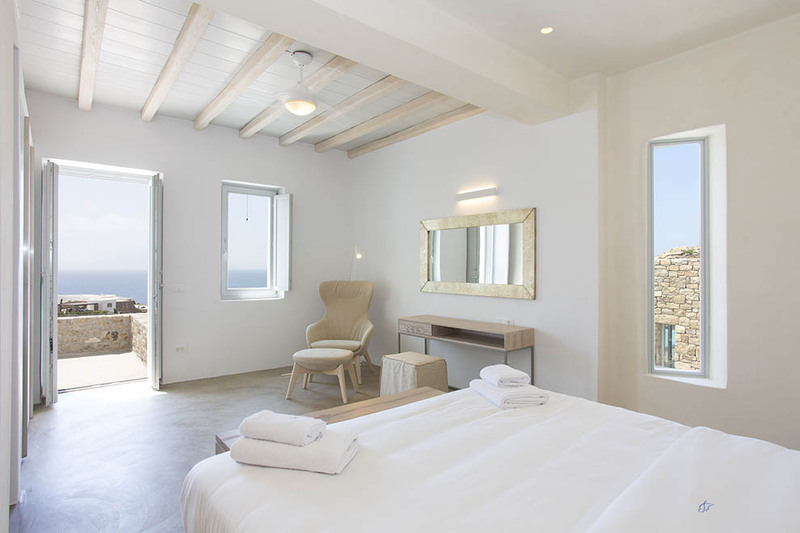 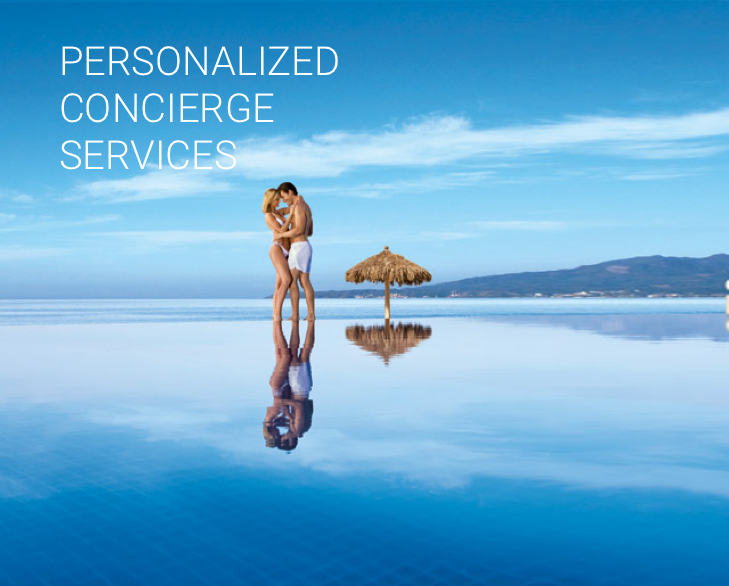 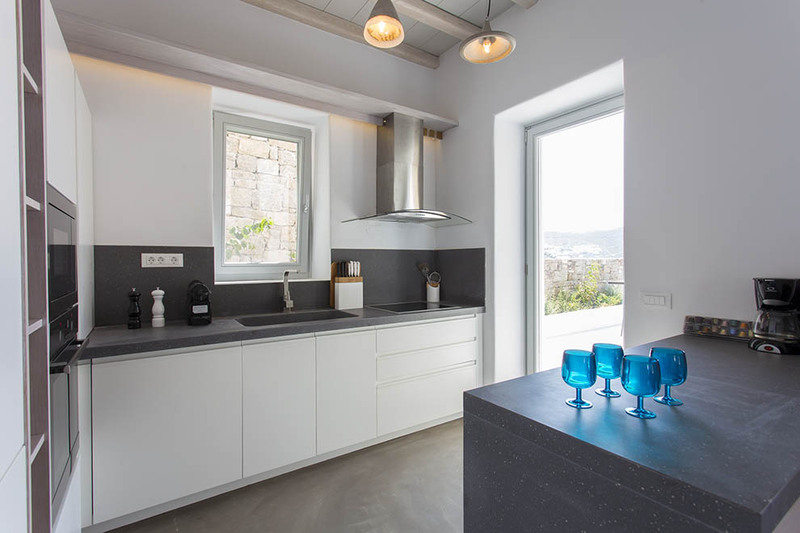 The unique complex is in a distinctive part of Mykonos close to the superb Elia beach, overlooking the Aegean Sea and has a panoramic view of the Island. 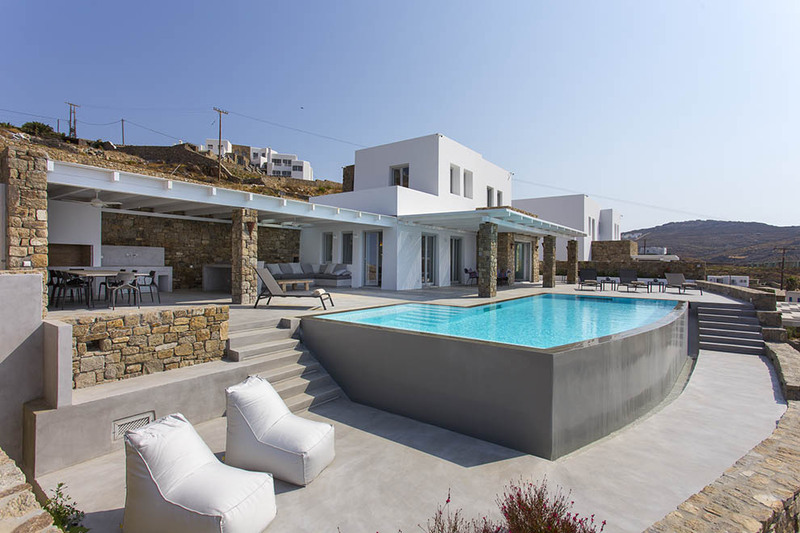 The superb villas provide the ideal privacy for your vacation, to be able to relax and have close access to amazing beaches. 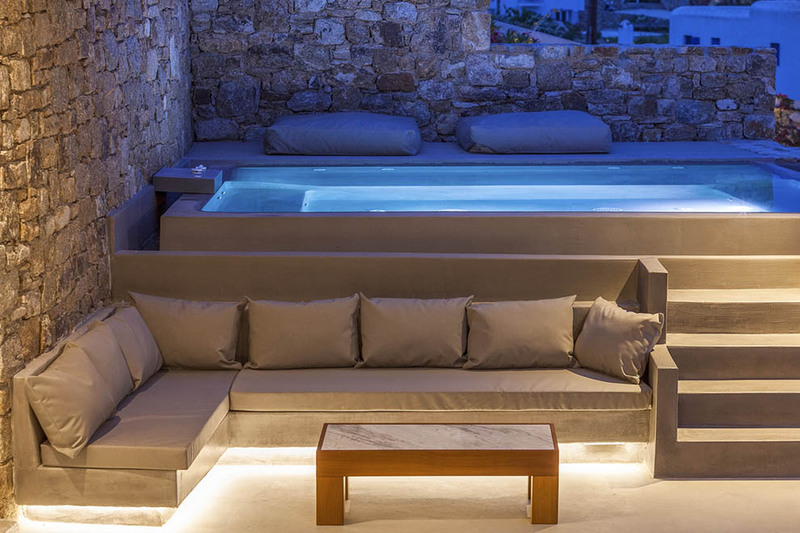 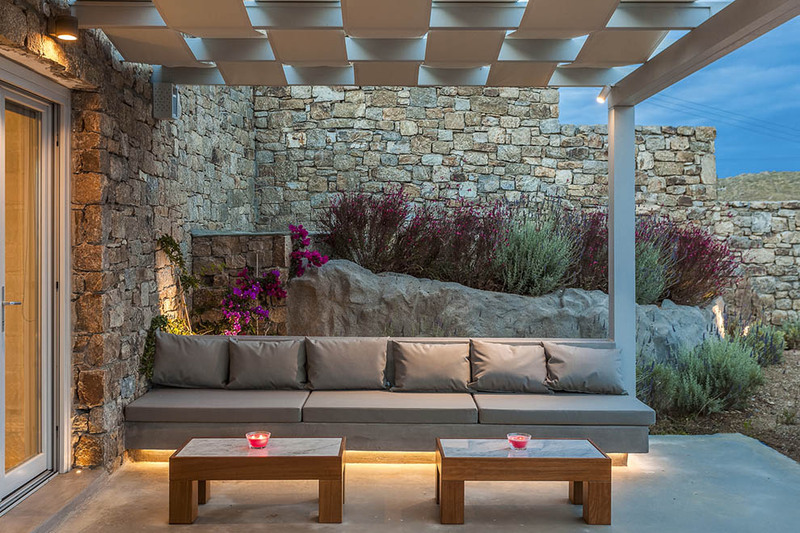 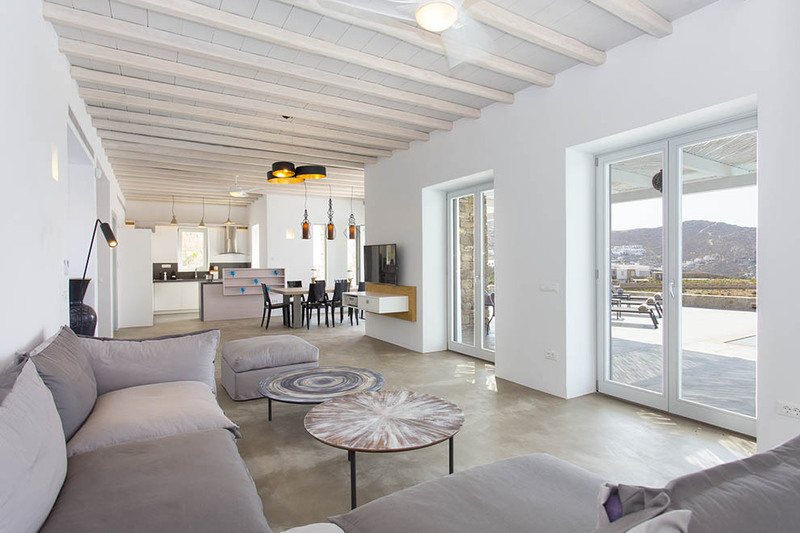 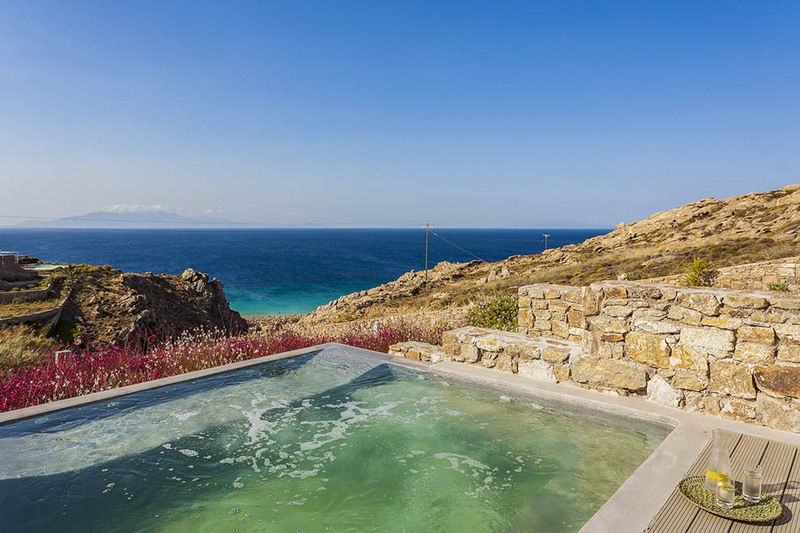 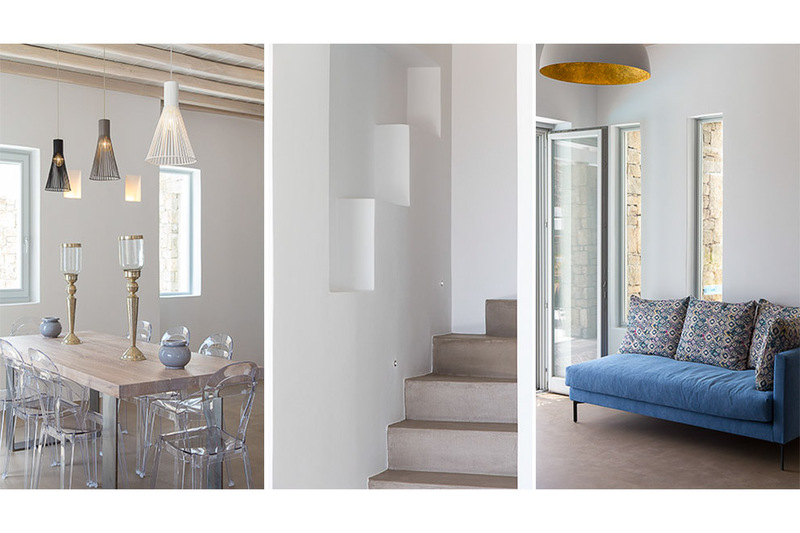 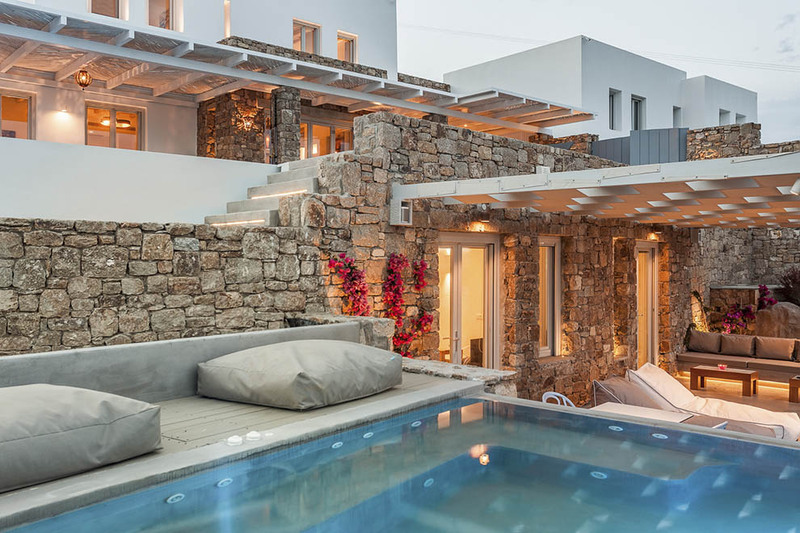 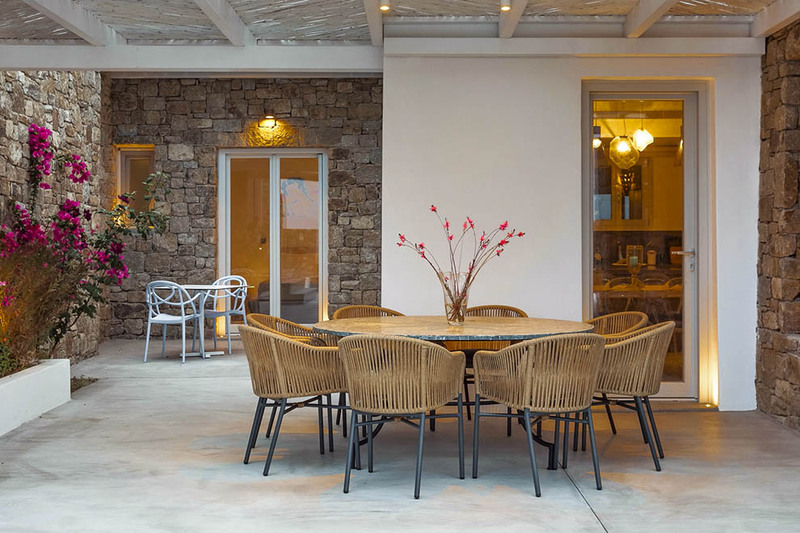 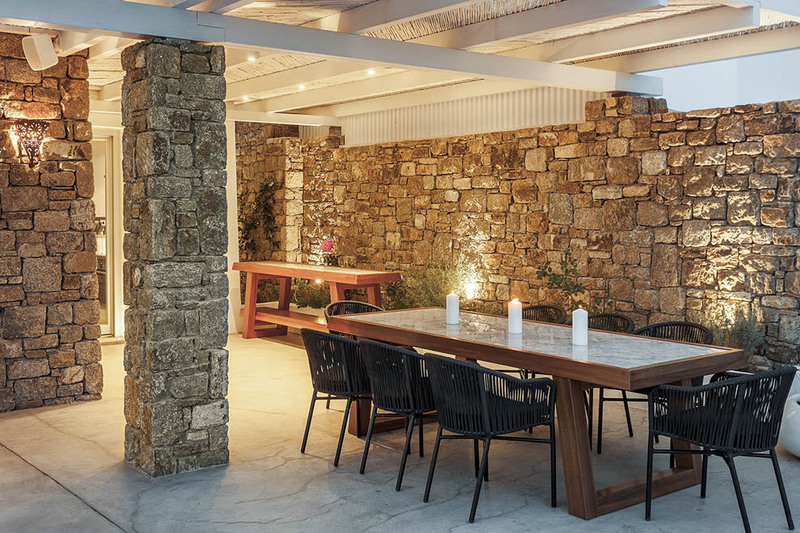 The elegant villas are designed to serve the unparallel aesthetic of Mykonos, the boho-chic culture of the island that exudes luxury and finesse. 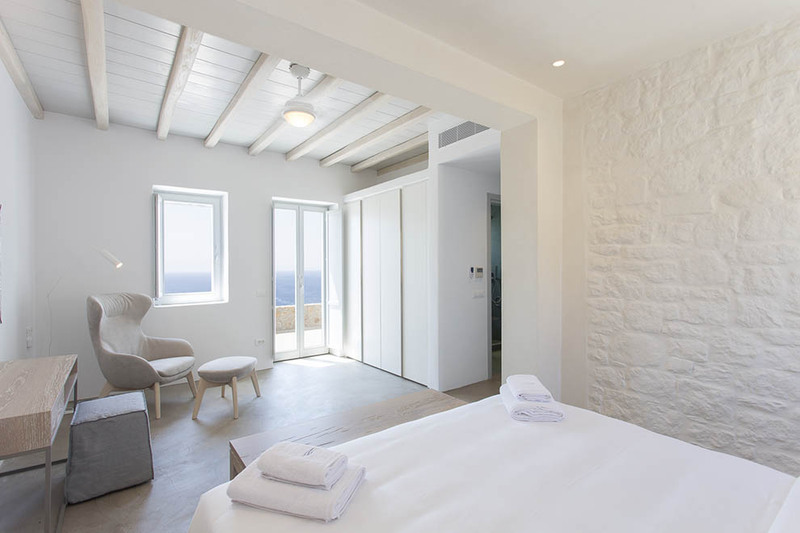 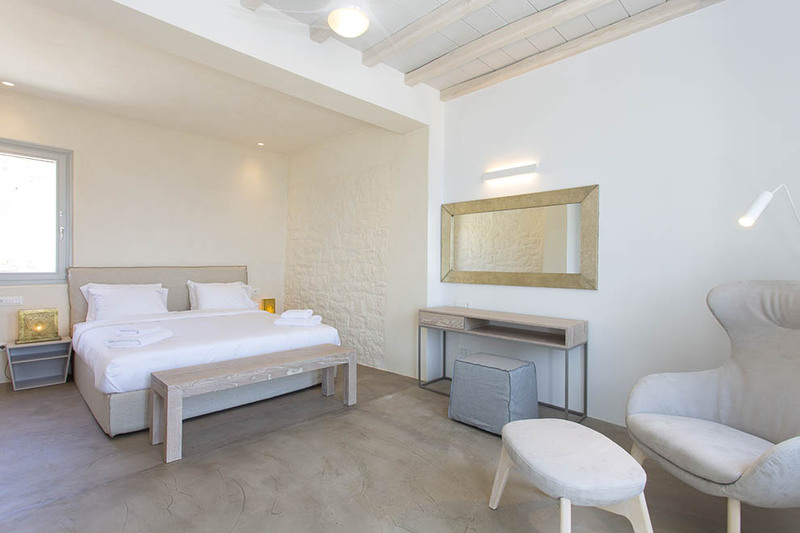 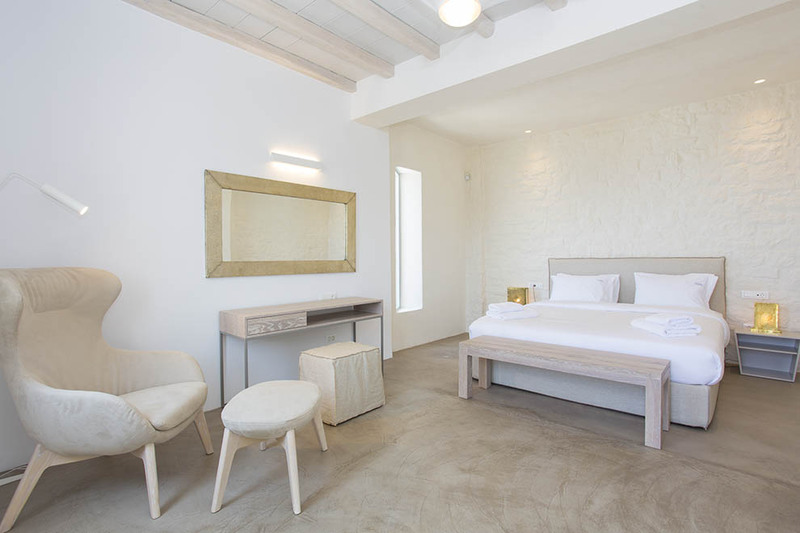 The interior is decorated in a minimalistic and stunning way that combines the mesmerizing Cycladic architectural style with contemporary notes that make the difference. 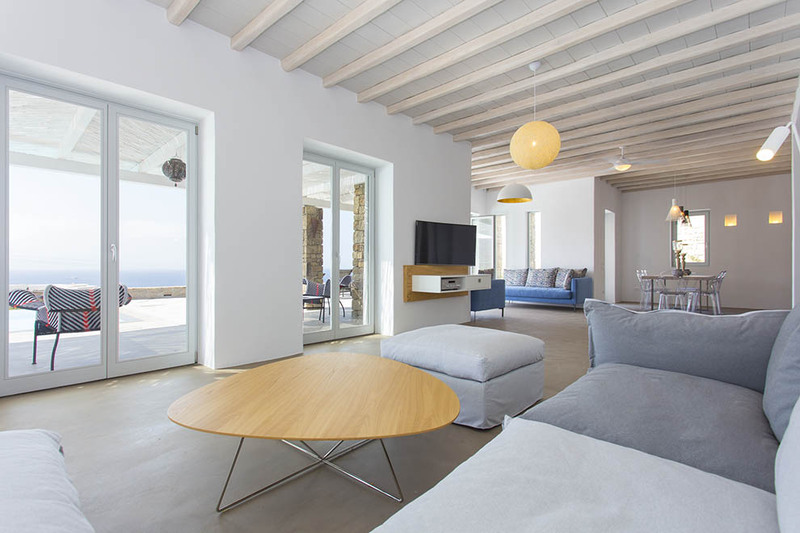 The two separate villas will provide the most memorable moments of Mykonos magical beauty in a privileged, stunning accommodation. 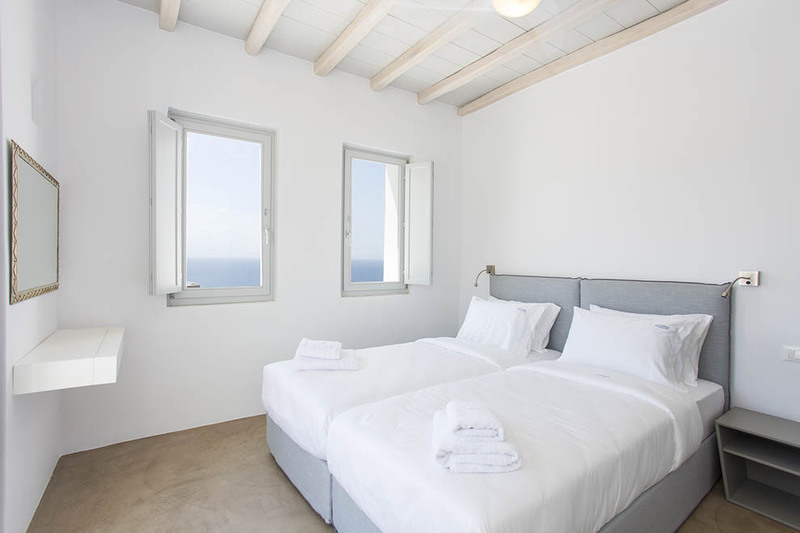 Villa Satin Jasmine One and Villa Satin Jasmine Two comprise two of the most impressive plots in the Island, which follows the serenity and natural beauty that ensure relaxation and comfort. 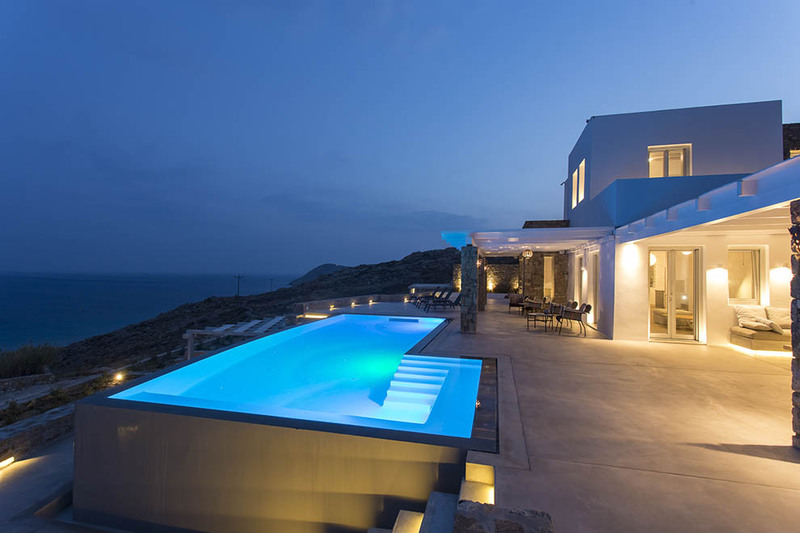 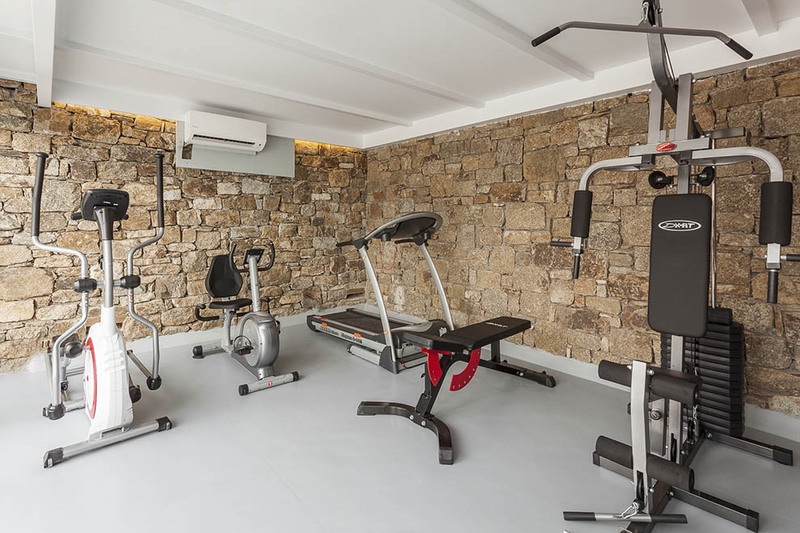 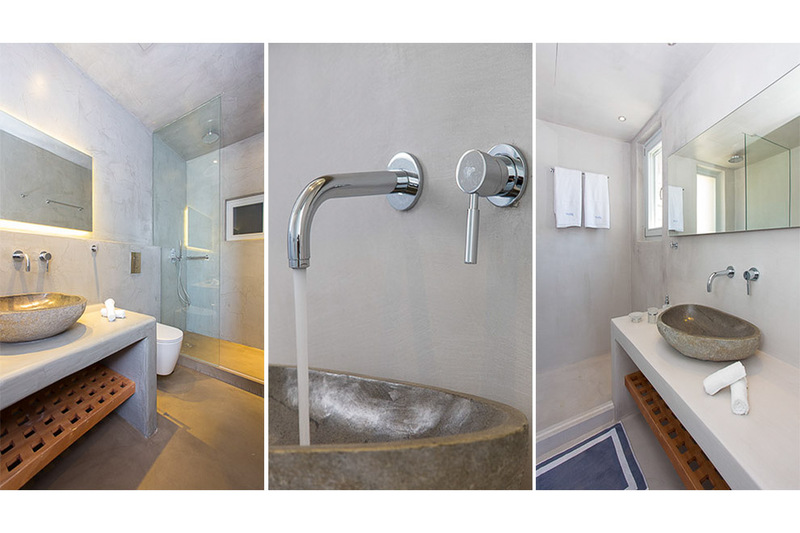 The majestic villas are spacious and well equipped with the most functional and impressive appliances. 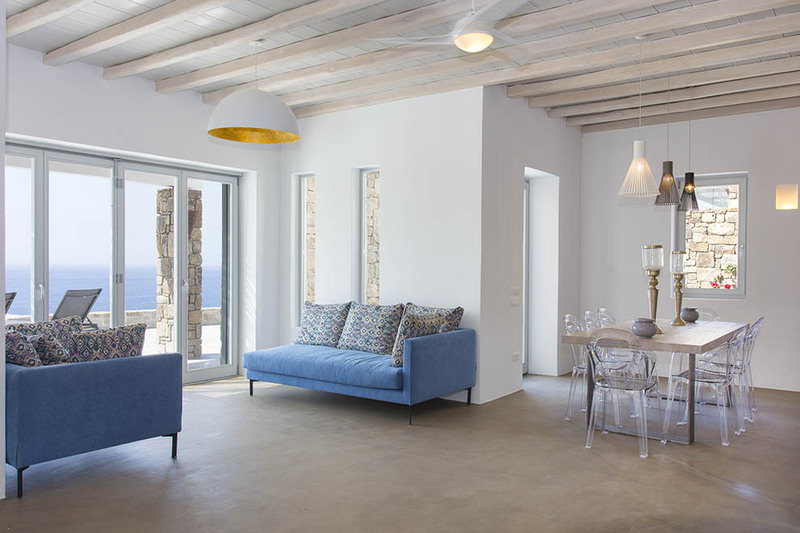 The charming interior design and the divine outdoor spaces will make the guests loosen up, unfold and enjoy the endless blue sea view. 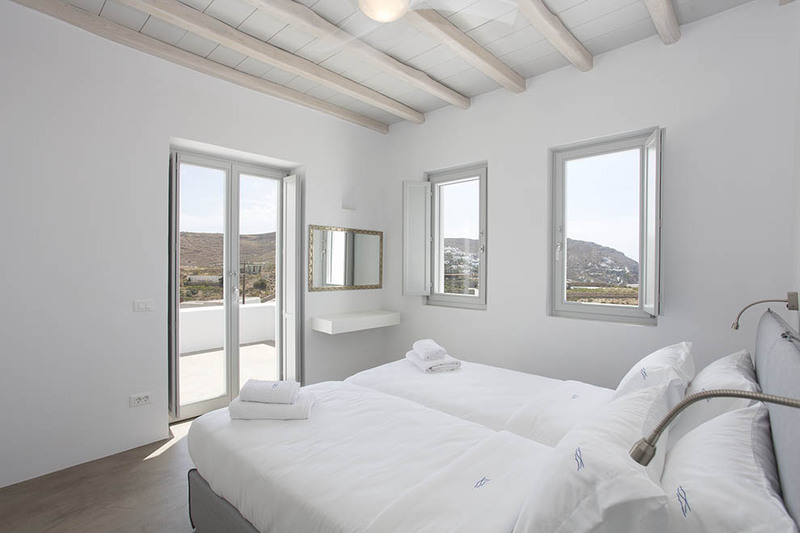 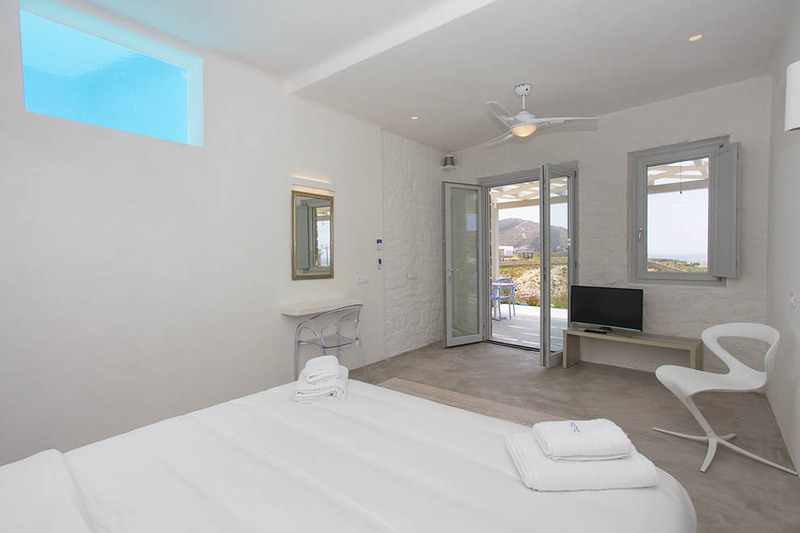 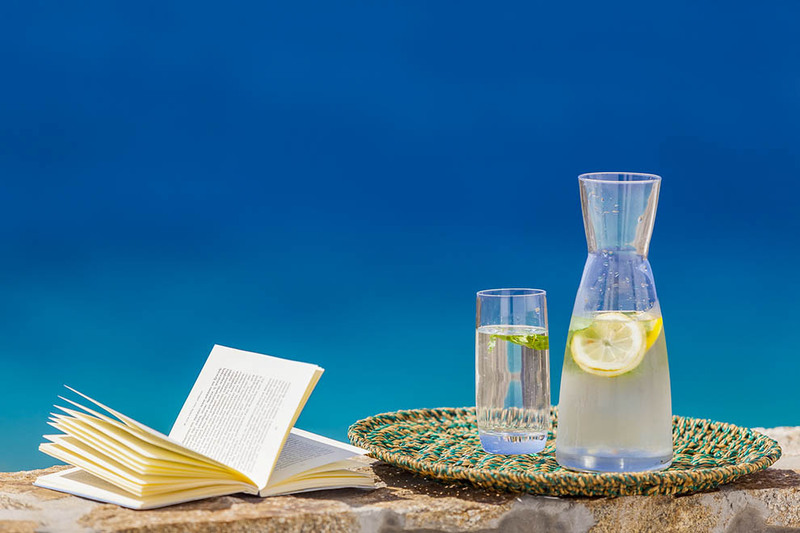 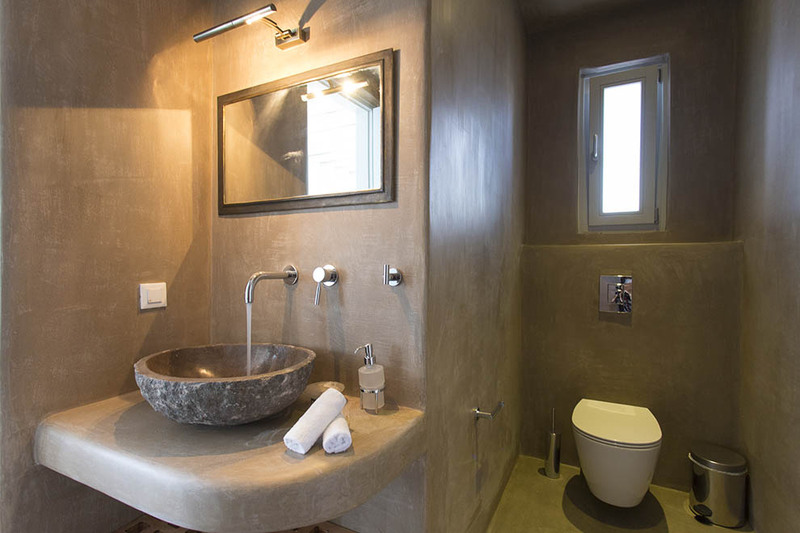 The Satin Jasmine Complex is perfect for groups of people that want to enjoy the privacy, luxury and ultimate comfortable experience of the summer Mykonos vacation.